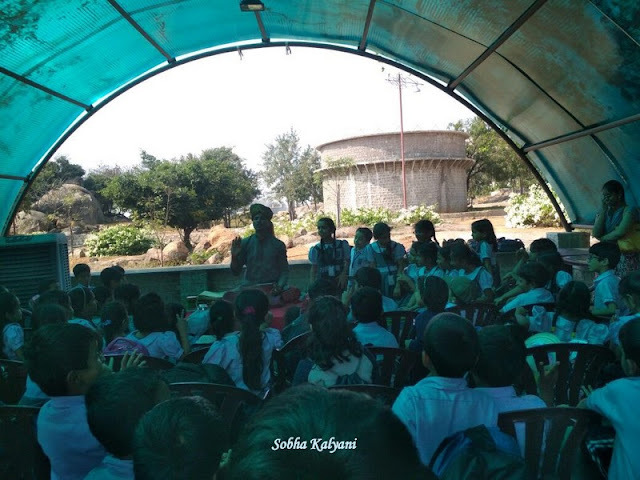 The primary students of Chinmaya Vidyalaya, Hyderabad went on a school picnic to The Hidden Castle in Mathpally, Medak District on Friday, December 15, 2017. The Hidden Castle (THC) is located on the Hyderabad-Karimnagar Highway at a distance of about one hour drive from Hyderabad city. It is a nice place for a weekend family vacation. In November 2016, the primary class students of Chinmaya Vidyalaya went on an exciting field trip to Surendrapuri in Nalgonda district. Last year in December 2017, they had a fun-filled / enjoyable trip to The Hidden Castle (THC) in Mathpally. And this year (2019), they had a wonderful educational field trip to Dairy Farm and Parle Biscuit Factory. After morning prayers the little ones, with glowing excited faces, stepped out from their classrooms and went in lines accompanied with their class teachers. They boarded the respective buses with joy and excitement. As the buses started moving, children shouted with joy. Parents who waited till the buses departed, waved hands to their dear little ones and dispersed. Inside the bus, children along with their teachers enjoyed singing songs with claps in the buses. After a one and half hour bus drive from Hyderabad, the buses reached Sri Vidya Saraswati Temple in Vargal. Vargal is a small village in the Siddipet district of Telangana at a distance of around 48 Km from Hyderabad. Sri Vidya Saraswati temple is a temple complex situated on a small hillock with unique rock formation. There are the shrines of Lakshmi Ganapati, Saneeswara and Shiva inside the temple complex. The main deity of the temple is Sri Vidya Saraswati. Evenings - 4.00 p.m to 7. 30 p.m on all the 7 days of the week. 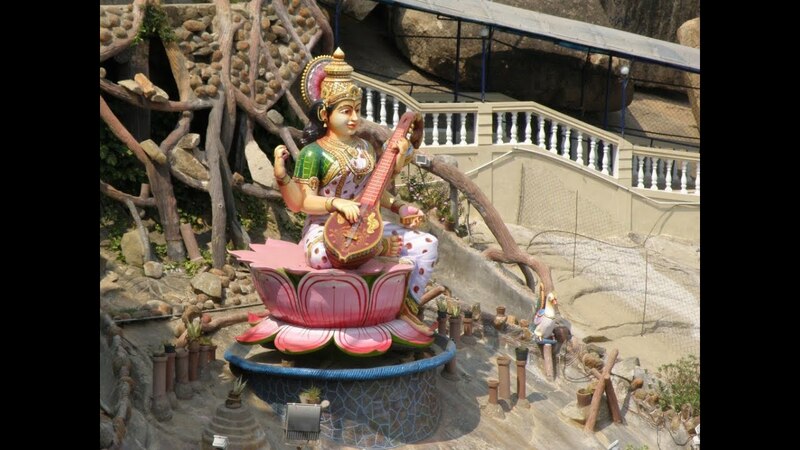 Basara Sri Gnana Saraswati temple and Vargal Saraswati temple are the two famous Saraswati temples in Telangana where people perform Aksharabhyasam of their kids on auspicious days like Basant Panchami. The children were taken in lines to have the darshan of Saraswati Devi - the presiding deity of Sri Vidya Saraswati Shani Temple, Vargal. From here the buses left for THC. On reaching the resort, the children went in lines inside castle. It is an imposing structure which is actually a castle-shaped resort with a majestic look. It is located in Mathpally Panchayat in Medak district and is at a distance of one and half hours drive from Hyderabad. There are lots of attractions at THC with fun-filled and thrilling activities like Trampoline, High Rollers, Treetop Walk, Aqua Sports, Camping and many more. It also offers Royal Suites for night stay. Well, as the children are from primary classes except for the XI std students, they were taken to safer attractions. Initially the children enjoyed a magic show organized by the THC and then went out for some sporting events like lemon in spoon race. While some of the students had fun-filled thrilling / exciting jumps in the trampoline. It was a sunny day and the children were too tired moving around, jumping and playing in the castle. They relaxed for a while after lunch at THC which are not up to the mark and was not much relished by the children. After a short relax some of the children had a cool splash in the pool while some enjoyed the rain dance. The children enjoyed water splashes for a long time and then it was time to pack up for the day. After lots of fun and adventures in THC, the children boarded the buses and they were so tired that most of them went to sound sleep as soon as the bus started moving. It was around 7.30 p.m by the time they reached the school. Once again the school campus was crowded with parents who came to pick up their dear young ones who stayed / enjoyed the whole day. The children got down from the buses with tired faces yet it was full of contentment and joy. That was a great thrilling experience for the young ones.